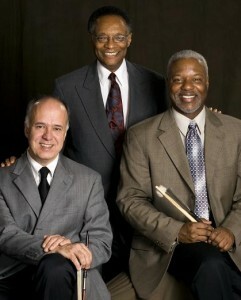 Winter Jazz Fest – Ramsey Lewis Trio with Joshua Ramos on bass, and Charles Heath on drums. An American jazz icon and elder statesman of jazz, Ramsey Lewis continues to stretch the art form with a cool sound and an impeccable groove. McAninch Arts Center Mainstage, tickets $50/48/40. First- and second-row tickets $75/73/65. For more information, call the MAC Ticket Office at (630) 942-4000. Saturday, Feb. 19, 2011, 8 p.m.
continues to stretch the art form with a cool sound and an impeccable groove.